Stryker .223 M193 Remington ammunition with a FMJ 55 Grain Pulled Bullet, Lead Core & Federal Brass Case. Manufactured at American Marksman’s facilities. Projectile is not magnetic. Bulk packed to bring real quality at affordable prices. I’ll be the first to admit I’m a bit of an ammo snob and generally stay away from reloads or remanufactured ammo. These were on sale, I was very low on 223 ammo so I bought a case and figured worst case scenario I would end up with decent primed brass. When they showed up and I was able to test about 250rds I’d the 1000, boy was I wrong and glad I was. This (cheapest Brass cased ammo I could find) shot great, no cycling issues, looked to be as well made as factory new (some minor nicks, dings here and there), fired cleanly and actually pretty darn accurate when testing it from a bench and Eotech EXPS2.0. The moment I got home, with the sale still on I picked up another 1000rds and ever since that first order, when I’m running low, TAM is now the first place I check. It’s high quality remanufactured ammo...not a RELOAD you can find at any gun show (and usually not the highest quality unlike this stuff). One friend of mine who was sort of poking fun at me for going against my “only factory new” previous outlook I had some fun wirh. I took 2 boxes of Winchester White Box .223Rem, emptied one and replaced wirh these, kept the other 20rd box as it was, put both closed up boxes in front of him and said “one is factory new Winchester, the other are those new Remans I just bought...which one is which.” Before I go any further let me say this friend is the buying manager for our local gun shop, been in the industry for 28yrs, certified instructor for over 14yrs so he knows his stuff. Bottom line, he picked the wrong box. Thought the Remans were the factory new Winchester’s and if the headsramps didn’t prove it, I’m not sure he’d of believed me. Since my first order I’ve probably gone through another 4000rds and truly can’t think of one misfire or FTF/FTE in those 4000rds I’ve put down range through 2 of my 5.56/223 rifles as well as a couple other friend’s rifles. 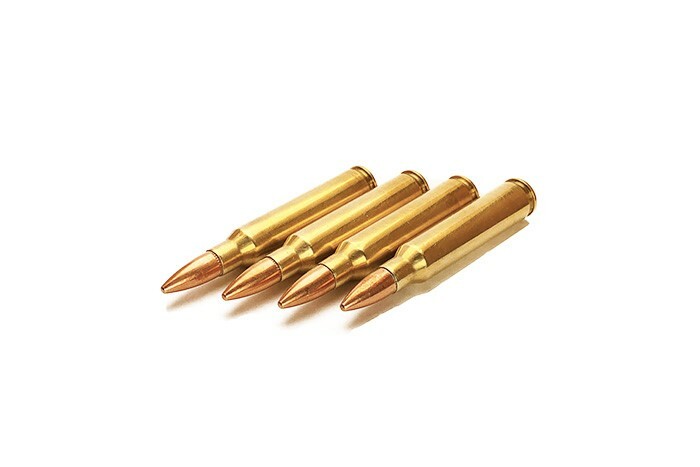 TAM’s prices are great, shipping cost isn’t too bad at all, arrives pretty quickly and it’s flat out quality ammo. I will absolutely be buying more until my state actually does ban all mail order ammo sales as they tried this year (YAY...we get one more year at least!). Big thanks to The American Marksman for offering a great round at a great price. No excuse not to get out and train hard anymore with prices like these and in a pinch I’d have no problem using this as SD ammo. If you had more stars for me to give it, I would!!! I have been using this ammo for quite some time now, after a friend recommended it me. The price was great so i figured ok i will give it a try. WOW i have run the 9mm and the 223 and NEVER had any Problems with it. I recently have been running more matches and competitions and the 223 55 gr i have been running thru my DDM4V7 w sandman S on it has been making consistent hits up to 600 yards(furthest that range goes to) this ammo is accurate and consistent.ihave run it thru every ar i have 11.5" & 14.5" 16" it does not matter , they eat this stuff up and runs perfect. I posted a target on my instagram "ghostmanarms" about the consistently and accuracy results of this ammo. Its amazing and the price is amazing as well. Buy this ammo now. You will not be disappointed. I will continue to buy this ammo, and you should too. American Marksman has, once again, provided me some of the fastest shipping I've ever received from any supplier, and delivered another batch of clean, good quality ammo. I will continue using these folks for my ammo needs as long as they continue to give this top notch service. I appreciate their attention to customer service, and always receive accurate and reliable products.